When you are in the market for new window treatments for your home, there are going to be a slew of different options out there for you to decide between. In fact, with all of the different options available to you, it can be easy to get a bit overwhelmed with it all. With that being said, out of all of the various options available on the market today, interior shutters are still one of the most popular among homeowners all over the country, and with good reason. 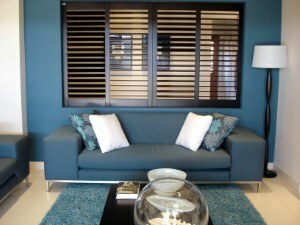 In an effort to help you find the brand new window treatments that are going to be the right option for your home, our team of Washington D.C. shutter professionals have taken the time to put together this short list that helps to highlight just a few of the key benefits that new interior shutters can bring to your home, and what makes them such an excellent investment. When you are looking for an excellent way to enhance the interior design of your home, new interior shutters are a surefire way to do so. Shutters come in a wide variety of different sizes, materials, colors, and styles to ensure you have everything you need to find the brand new window treatments you need to go with your home’s interior design. As an added benefit, shutters tend to be a somewhat timeless design element in your home, meaning that they never really go out of style. This can be extremely helpful if you are ever looking to sell your home down the line because as long as you have taken the time to keep them properly maintained, you likely won’t have to worry about needing to replace them with something more modern or updated. In addition to their beautiful aesthetic, interior shutters can also be a big help in improving the overall energy efficiency of your home. Because they are generally constructed from more heavy-duty materials and due to their solid design, interior shutters can effectively act as an additional layer of insulation around your windows, helping to keep hot air outside during the summer months and keep the warm air inside during the winter. This will make it much easier for your home’s HVAC system to maintain the desired temperature inside your home, reducing the amount of work your system has to do and helping to keep your monthly energy bills in check. 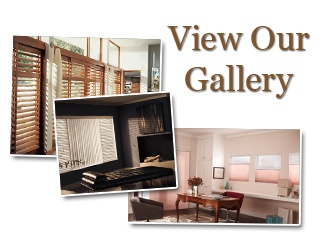 While all window treatments will help to enhance the privacy of your home to some degree, shutters are able to do so better than most others. Where you might have to worry about prying eyes being able to peer through gaps in your blinds or shades, since shutters are installed directly onto your window frames, there are no gaps on any side for anyone outside of your home to peer through. Additionally, because of the solid construction, you don’t have to worry about casting shadows through your windows that make it easy for everyone in the neighborhood to see what’s happening inside of your home. If you are looking for a professional Washington D.C. shutter company, give us a call today at 703-651-0358 or fill out our online request form.